Free shipping. Buy direct from HP. See customer reviews and comparisons for the HP Sprocket Photo Printer. Upgrades and savings on select products. 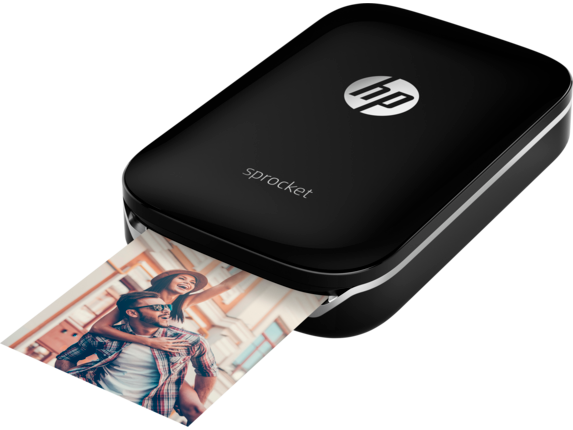 About the size of a cell phone, weighing around 6 ounces (170 grams), this portable printer goes anywhere.Easily load the included 10-sheet pack and print instant 2 x 3-inch (5 x 7.6 cm) photos or stickers.Print through the HP Sprocket App with Bluetooth technology. Use the HP Sprocket App to quickly print your favorite social media photos.With seamless Bluetooth® connectivity, you and all your friends can connect and print. 1 HP Sprocket App required. 2 ZINK Technology and trademarks from ZINK. Used under license. 3 On the go printing requires mobile device to be connected to HP Sprocket via Bluetooth connection. 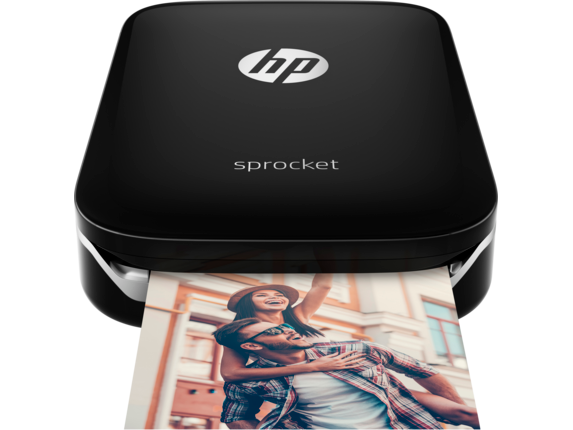 Mobile printing from the HP Sprocket App is supported on iPhone® and iPod touch® on iOS v8.0 and higher. Android™ printing supported on Android devices using OS v4.4 and higher. For details on how to print, see hpsprocket.com. Bluetooth is a trademark owned by its proprietor and used by HP under license. 4 HP Sprocket App required. Bluetooth is a trademark owned by its proprietor and used by HP under license. Take your social media skills offline and use the HP Sprocket Photo Printer to effortlessly print out all your favorite digital memories. In just moments, show off the stellar shots from your Instagram in adorable 2 x 3-inch snapshots or stickers so you can cherish these moments outside of your mobile device. 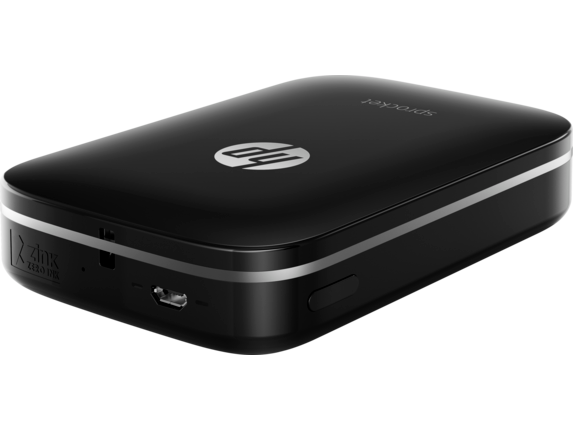 Just the size of a cell phone, the HP Sprocket Printer is incredibly portable. This mini masterpiece only weighs 6 ounces and is the perfect compact piece of technology at 2.95 x 5.57 inches. Slip it into your purse or backpack and use this on-the-go printer to instantly share your fun adventures with friends and family no matter where you are. To use this handy little printer, your device must be equal to or higher than an Android 4.4 or an iOS 8.0 for iPhones. Earlier versions of these devices are not compatible with the internal technology. When you’re ready to turn the perfect picture into a lasting print, simply load the included 10-sheet pack of paper into the tray and watch your masterpieces come to life. The magic of the HP Sprocket Photo Printer is easy to share with all your loved ones thanks to wireless Bluetooth 3.0 technology. If your bestie just snapped a must-have moment, they can easily access your printer by connecting to the Bluetooth network. Turn an ordinary outing into a picture party in a flash. While you can take this nifty machine with you to print photos on-the-go, you have to be in fairly close proximity to it in order to access the Bluetooth feature. Whether you’re at Sunday brunch or skiing the slopes, make sure you keep your HP Sprocket close at hand so you’re always ready to transfer your favorite memories onto paper. To share photos the old-school way, use the HP Sprocket App to fine-tune anything your first round of filters might have missed. With the app, you can easily browse all your social media feeds to find the perfect photo. No matter if it lives on Facebook or Snapchat, this compact printer can turn each picture into a priceless keepsake. Already have an existing print you wish you could make smaller? No problem. Use the app to scan photos for a fresh take on old memories. Fun borders, emojis, and stickers add a creative touch to the photo projects you create with your sleek HP printer since the app comes fully loaded with tons of funky add-ons to make your prints stand out. Is the moment you captured too big for one photo? Create amazing photo mosaics that split a single image into multiple tiles so you can finally decorate that blank wall in your dorm or apartment. If you want to use your favorite moments to mark your territory, turn photos into easy-peel stickers. Decorate laptops, whiteboards, doors, or any other personal belonging that needs a little pizzazz. 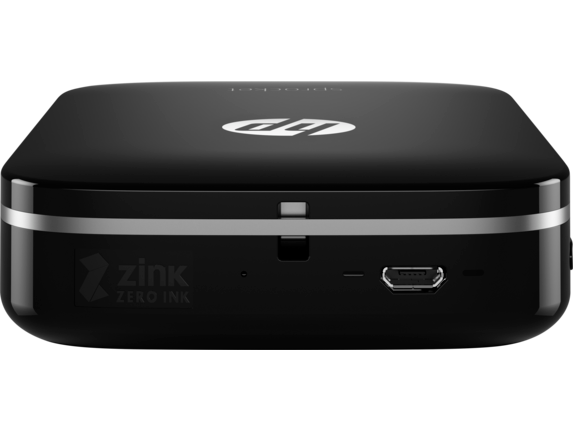 Each HP Sprocket Printer is equipped with ZINK™ technology to execute your photographic masterpieces without the problems of traditional ink cartridges. Instead of using toner cartridges or ribbons, ZINK™ has created innovative printer paper that contains 100 billion different dye crystals that are activated when exposed to heat. Depending on the duration and temperature of each burst of heat delivered within your printer, the paper reacts to create a crisp image that rivals lab-quality photos. With 313 x 400 dots per inch (DPI), the HP Sprocket delivers beautiful photos that are so crystal-clear you’re taken back to the moment they were snapped. To ensure each moment remains perfectly preserved, ZINK™ paper is waterproof, tear and smudge resistant, and backed with adhesive to transform them into stickers. Apart from the ease of never having to install ink or worry about smudgy fingers, ZINK™ paper helps the environment by eliminating wasteful cartridges and replacement supplies. The eco-friendly technology of the HP Sprocket Printer can help you proudly wave your green flag for all to see. 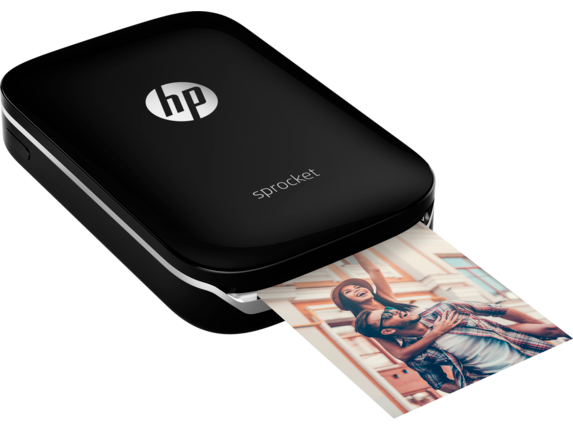 Say goodbye to ugly, clunky printers and step into the future of portable printing with the sleek black HP Sprocket Printer. Want to add a little color to your life? The HP Sprocket also comes in red and white. Slip it into your pocket or carry it in a specially designed wallet case to tuck it away as easily as your smartphone. The combination of style and tech is sure to catch the eye of your crew. With a minimalist design that features elegant, rounded lines, there’s no device more aesthetically pleasing and easier to use than the HP Sprocket. A pair of simple display lights gives you all the information you need for no-hassle printing. The left charge light indicates the battery level: red means charging, green means you’re good to go. The right status light indicates stages of the printing process: white means the power is on, white flashing means printing is in progress, and red flashing warns you of an error. This system makes creating personalized prints a piece of cake. Take the power of your home printer out and about so you’re always ready to put your adventures down on paper. Whether you’re printing out stickers as a party favor or decorating your dorm room, the HP Sprocket Printer is your key to quick, beautiful, and lasting prints you’ll enjoy for a lifetime.